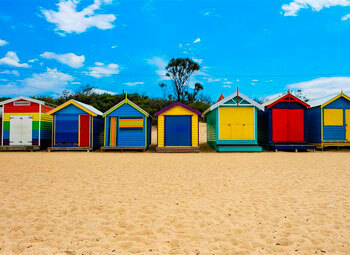 The capital of the smallest Australian state - Victoria - is situated in the extreme south of Australia. Temperate Town has four seasons of the year very well defined and well distributed rainfall throughout the year. Average summer: 14 º ~ 24 º C Average winter: 06 º ~ 15 º C.
Ballarat; Geelong; Lorne; Sea Port; Bendigo; Dandenong; Port Campbell; Warrnambool; Foster; Mallacoota; Shepparton; Morwell. Melbourne Museum; Victorian Arts Centre; Melbourne Aquarium; National Gallery of Victoria; Melbourne Concert Hall; Queen Victoria Market; Koala Park Observation; Rialto Towers; Yarra River (rowing). There are so many charms that it is impossible to say everything in one sentence. 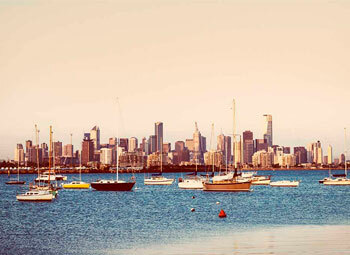 Melbourne is one of the most beautiful cities in the world, home of culture and sport in Australia. 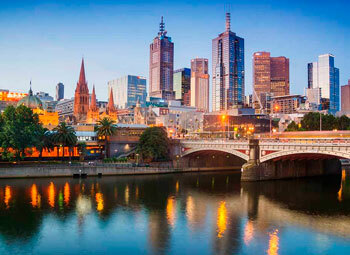 Melbourne, the state capital of Victoria, is the second city in size in Australia. Known worldwide for its traditional horse race, the Melbourne Cup, the city offers much more with its Victorian architecture, cuisine and fashion. 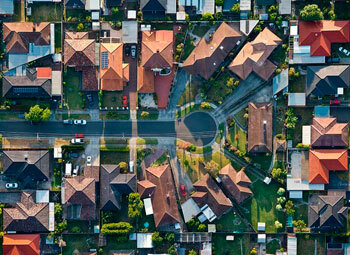 European style carries its own traits with purely Australian identity. Known as the capital of Arts and Culture in Australia, a visit to Melbourne is not complete without watching a live performance at one of the many theaters, or a ride in its museums and galleries. With over 100 independent galleries, including the House or Ripponlea, Melbourne is perfect for history and architecture lovers. The passion of its people for sports is reflected in the calendar of annual events in the city that hosts the world famous sporting events, such as the Melbourne Cup, the Australian Open Tennis and the Qantas Australia Grand Prix. The Melbourne Cricket Ground (MCG) is an Australian sports super-theater. It offers special packages available during the seasons of football and cricket, which include besides tickets to the games, tickets to the Australian Gallery of Sport and Olympic Museum. The city's nightlife is known for its numerous nightclubs, bars and pubs with live music and comedy clubs, a British tradition. The Crown Entertainment Complex, Southbank, is a grand entertainment center that includes the largest casino in Australia, regarded as the Mecca of the game in the country. Its numerous restaurants provide for guests a choice of world-class cuisine at a good price. Among the main dining options are: St Kilda, South Yarra and Lygon Street, in Carlton for the best Italian cuisine; Brunswick Street, Fitzroy (for his eccentric café culture) and Southgate (here you can dine at the edge of the Yarra River). The mountainous interior of Victoria is ideal for hiking, rappelling, rafting and other extreme sports. From June to August, this region turns into a winter paradise with good choices for skiing and snowboarding in a large number of resorts.